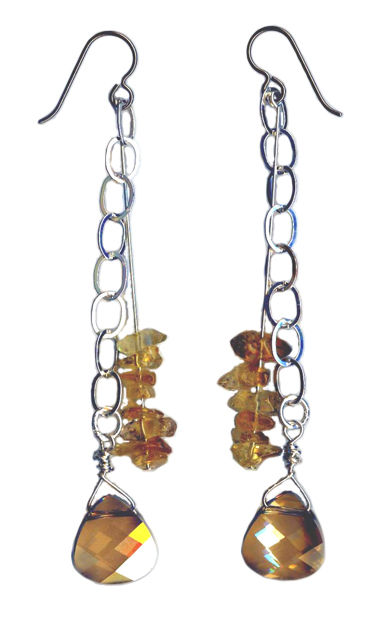 Gorgeous Swarovski 15mm briolette crystal drops suspended on sterling silver chain offset with citrine chips. These long dangle earrings are suspended from hypoallergenic titanium earwires. These earrings are available by special request. E-mail us if interested. Made with titanium french hook style ear wires, our earrings are suitable for metal sensitive ears. The titanium is certified surgical implant grade.